Summer is quickly winding down and it's almost time for many of us to head back to school! 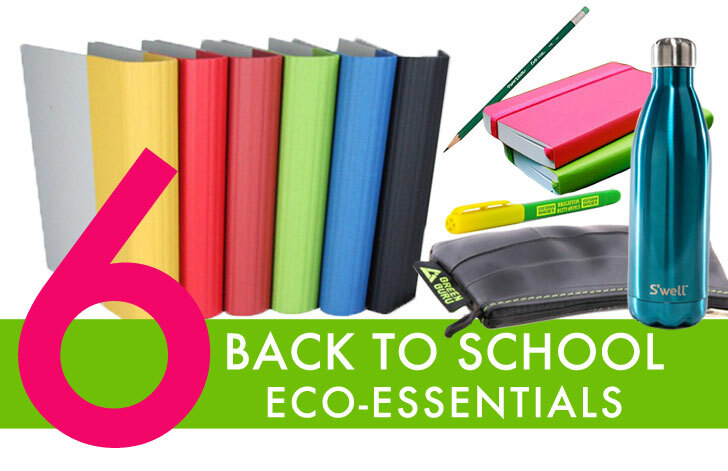 To help you get through the academic school year in a green way, we've rounded up our 6 favorite eco-friendly school supplies, all sure to get you through more than just a couple of semesters. With everything from recycled pencils to durable project binders in hand, you'll be ready for just about anything your teacher throws at you! We're also getting ready to launch our amazing annual Back-To-School contest, so stay tuned to see what awesome eco-goodies we'll be giving away in this year's prize bundle! 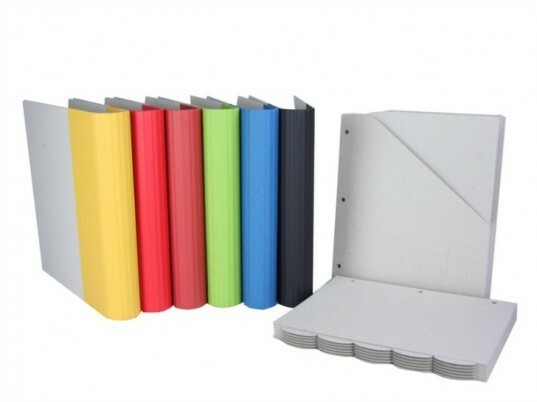 These binders are a great alternative to those plastic hardcovered binders. These Project Binders are bare to the bone; made from 97% FSC certified post consumer waste, like recycled magazines, newspapers and office papers. Strong and sturdy, the colorful spines are made from 100% cotton book cloth and a water-based glue and can withstand some serious academic abuse. Even though they’re technically journals, you can totally for jotting down everyday notes and assignments. Ecosystem offers three types for every kind of student: architect (grid paper), artist (non-lined) and author (lined). The journals are made in the USA from 100% recycled materials. 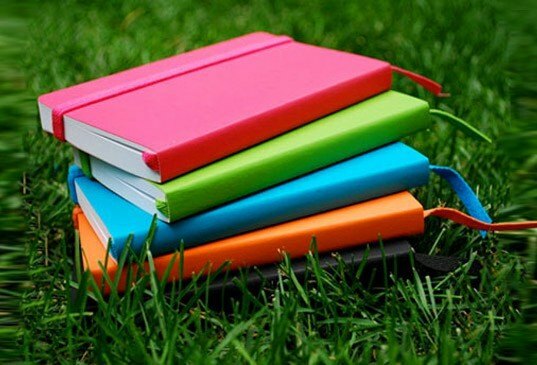 Each journal comes with a special ID number that you can take online, register, and if you somehow lose your book, whoever finds it just needs to fill out a contact form online and an e-mail will be sent to you telling you where it is. When you’re done with your journal, Ecosystem will even recycle it for you. Old pens end up in landfills all the time. Switch it up this year by getting these biodegradable pens made from corn by Vegetarian Shoes. 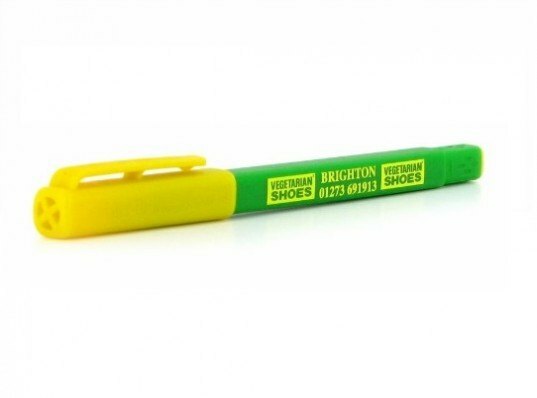 They may be a shoe company, but don’t let that discourage you, these pens are made to last even longer than regular pens. You’ll need a stock of pencils to keep up with all those math problems (or doodling). These Paper Mate pencils are made from 100% recycled wood and come with a smudge resistant eraser. 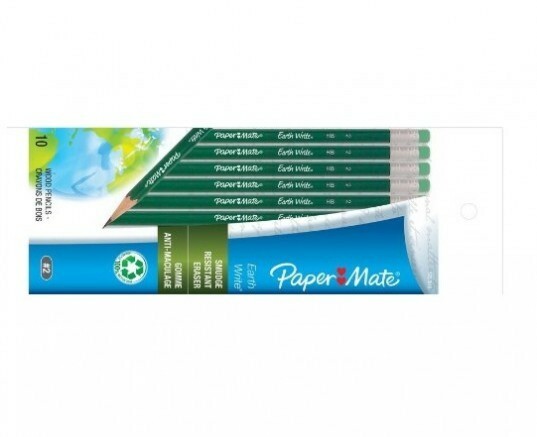 If you’re more into mechanical pencils, Paper Mate has a biodegradable corn-based pencil. So, where are you going to put all your eco-friendly pens and pencils? In your recycled inner tube case, of course! Green Guru’s medium zipper pouch is the perfect size for all your writing utensils. Made in the USA from recycled bicycle inner tubes, these pouches are water resistant, super sturdy and stylish. We hope you don’t plan on bringing water bottles to school! This S’well bottle is beautifully designed alternative to plastic, and the best thing about it is that it’s insulated, so it won’t sweat! 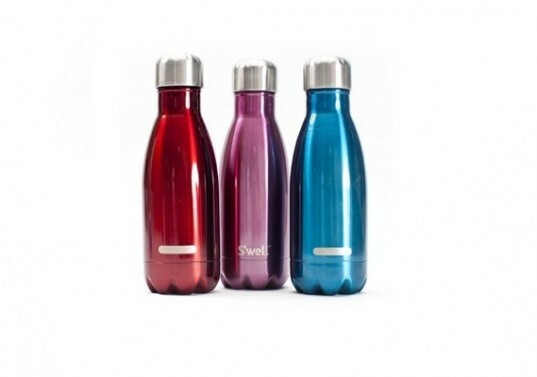 S’well bottles are non-toxic, non-leaching, and BPA free. The mouthpiece is big enough to drop in ice cubes, but small enough so water doesn’t drip out when you sip. S’well also donates 10% of all the bottles proceeds go to WaterAid, an organization that builds clean, safe water sources in Africa and India. Project Binders These binders are a great alternative to those plastic hardcovered binders. These Project Binders are bare to the bone; made from 97% FSC certified post consumer waste, like recycled magazines, newspapers and office papers. Strong and sturdy, the colorful spines are made from 100% cotton book cloth and a water-based glue and can withstand some serious academic abuse. Green Guru Gear Case So, where are you going to put all your eco-friendly pens and pencils? In your recycled inner tube case, of course! Green Guru’s medium zipper pouch is the perfect size for all your writing utensils. 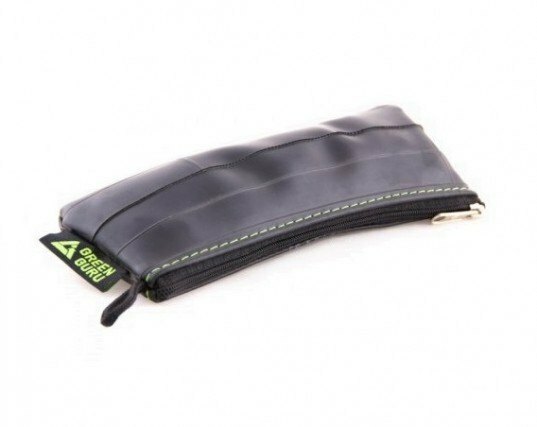 Made in the USA from recycled bicycle inner tubes, these pouches are water resistant, super sturdy and stylish.